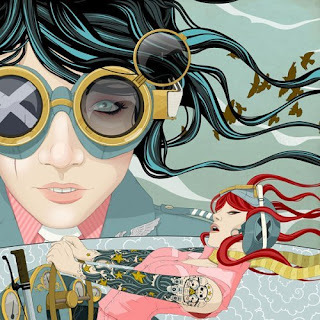 This July the ever-growing relationship between comics and music reaches new heights as Tori Amos and Image Comics release COMIC BOOK TATTOO, a 480-page, full color anthology adapting the themes and ideas behind her songs into a lush volume of sequential art. Not only will it be interesting to see a comic book-style anthology inspired by Tori's music, but the art itself should be fantastic, and her friend Neil Gaiman has penned the book's introduction. I love it when multiple art forms mingle.